Our Firm's history in Japan and our global platform are ideal for providing the legal guidance clients need to succeed in today's markets. With nearly 30 years of experience in Tokyo, we bring insight and experience in relation to corporate law matters, mergers and acquisitions, financial transactions and regulation, projects and energy, commercial disputes, antitrust, intellectual property and real estate. 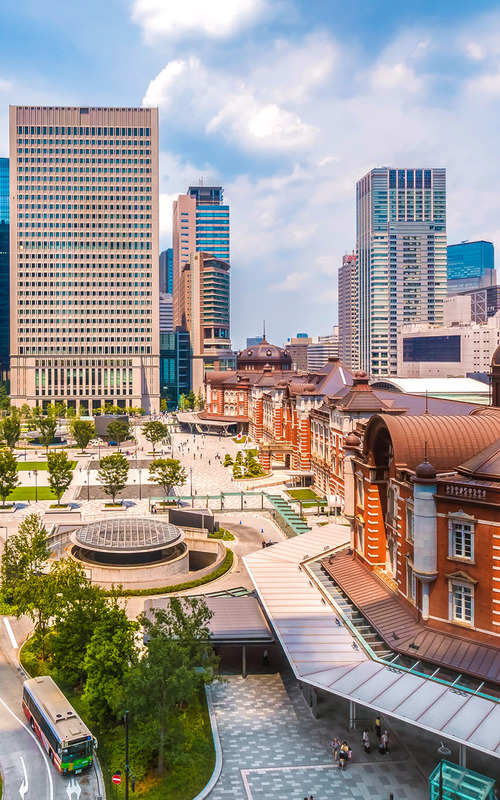 White & Case was the first foreign law firm in Japan to establish a joint enterprise with Japan-licensed bengoshi, providing clients with one-stop access to Japanese and global legal services. Our deep knowledge at local, regional and global levels enables us to guide our clients through the most complex matters they face today. White & Case established its office in Tokyo in 1987. Since then, we have grown into one of the largest law firms in Japan, drawing upon a diverse team of bengoshi and lawyers qualified internationally, principally in the United States and England & Wales, who consistently deliver results for our clients. Most of our lawyers are fluent in English and Japanese, and are longstanding residents of Japan. With a deep understanding of local business and industry trends, we guide clients through the cultural intricacies of doing cross-border business involving Japan, both inbound and outbound. One of the critical elements of our success in Japan has been that we are a full-service law firm and able to advise on virtually all business matters, including corporate law, mergers and acquisitions, financial transactions and regulation, projects and energy, commercial disputes, antitrust, intellectual property and real estate. We assemble the best teams and work seamlessly across borders for our clients. Asset-based finance transactions are typically complex and highly structured, reflect important tax and accounting considerations, and require careful analysis to ensure that the needs and requirements of all participants are appropriately addressed. We deliver the experience needed to succeed in these transactions, whatever the role undertaken by our clients. Our Tokyo practice is particularly known for its aircraft and shipping finance capabilities. This practice involves all types of leasing and finance matters, including operating leasing, leveraged leasing, secured lending, securitizations, warehouse facilities, export credit-supported transactions, portfolio acquisitions, manufacturer-supported transactions and restructurings. Bank finance and restructuring are at the core of White & Case's practice globally. Our clients benefit from our ability to support and guide them in executing complex, heavily negotiated financial transactions across multiple time zones and jurisdictions. Our banking and finance team has extensive experience in syndicated loans and all manner of acquisition financings, leveraged buyouts, secured and unsecured financing transactions, securitizations and structured financings. Members of our team have played key roles in many groundbreaking transactions. Our dedicated business restructuring and insolvency group is highly regarded in the market for its ability to provide a blended service across the five core areas of banking, capital markets, insolvency, litigation and private equity. We advise creditors, debtors and other market participants on all aspects of distressed business enterprise transactions and regularly act for insolvency appointment takers from the major accountancy firms and boutique players. Our emphasis is on finding constructive, innovative and cost-efficient solutions. Our dual-qualified and bilingual restructuring and insolvency lawyers in Tokyo form a formidable team that is well-versed in the full range of Japanese, US, and English insolvency and restructuring techniques. 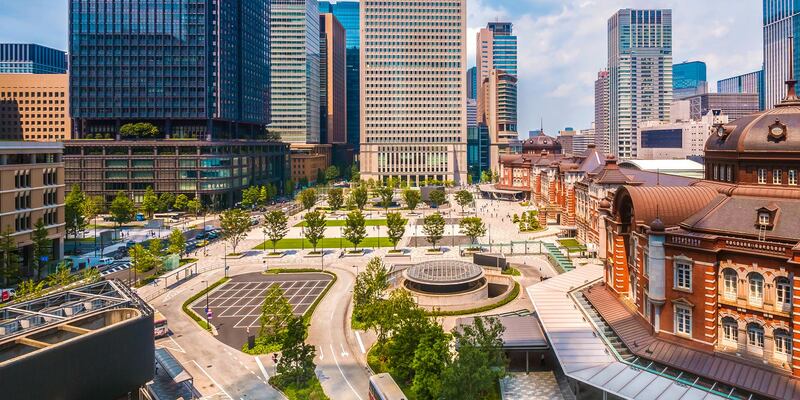 With offices in all the world's leading financial centers, White & Case has the flexibility to provide cutting-edge advice on all aspects of securities and capital markets transactions in Japan and throughout the world. Our team accommodates clients' changing fund-raising strategies based on market conditions. Our capital markets practice offers tailored advice on a wide variety of securities offerings, including Samurai bonds, initial public offerings, private offerings, rights offerings, high yield and investment-grade debt offerings, debt buybacks, structured financings and tender offer bids. We have considerable experience assisting on simultaneous public offerings in multiple locations and have advised on global depository receipt transactions by Japanese companies. We are highly experienced in groundbreaking capital markets transactions. Our M&A team is composed of both Japan-admitted bengoshi and lawyers admitted in other jurisdictions, principally the United States and England & Wales and is led by seasoned international and Japanese lawyers recognized as longstanding leaders in the Tokyo legal market and business community. We are not interested in simply conducting due diligence and documenting deals. We seek to provide tangible value to our clients at every stage of a transaction, from identifying strategic objectives and designing optimal transaction structures that advance those objectives, to evaluating and managing operational and legal risks, advising on corporate governance issues, and planning and supporting post-closing integration. Our Japan M&A team brings to each transaction the full array of White & Case's unparalleled global resources in a seamless, cost-effective manner, enabling us to run extremely complex transactions involving numerous, worldwide jurisdictions entirely out of our Tokyo office. Our Tokyo dispute resolution team consists of Japanese, US and UK‑admitted lawyers. This team assists in developing effective safeguards to avoid disputes and risks before they arise, and achieves fast, cost-effective solutions when they do. Our Tokyo office has a depth of experience in dispute resolution methods across all business, financial and industrial sectors and activities, with particular experience in disputes and counseling involving: Antitrust and competition, Aviation and shipping, Construction and engineering, Distribution and supply agreements, Employment issues, Finance transaction disputes, Foreign Corrupt Practices Act, Infrastructure projects, Insolvency and restructuring, Intellectual property, International trade/WTO, M&A and joint ventures, Product liability and product safety, Regulatory investigations, and White collar crime. Our team is able to draw on the resources of our global network of more than 500 dispute resolution-specialized lawyers, ensuring that we act seamlessly for clients across multiple jurisdictions and time zones. We have developed an array of innovative solutions for some of the largest projects in the world, earning us a reputation for offering creative advice that meets the commercial needs of our clients. 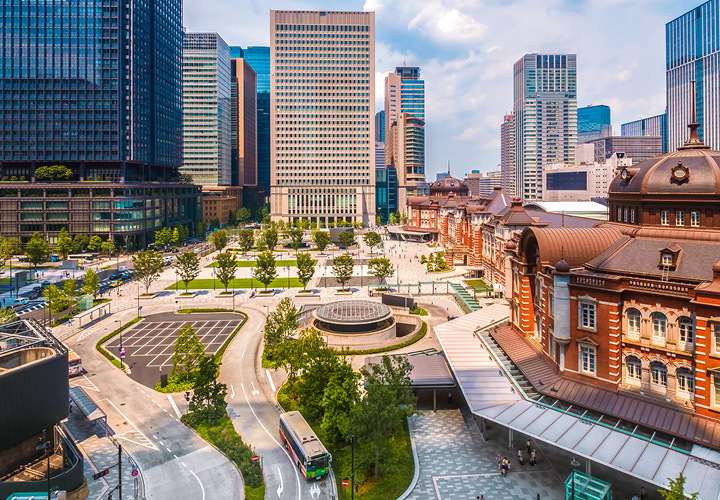 Our Tokyo-based team advises on legal matters related to project structuring and development, financing, mergers and acquisitions, offtake and transportation, government regulation, construction, operation and maintenance, and other project-related issues. We advise across sectors ranging from oil and gas, LNG, petrochemicals and mining and metals, to power, clean technology and renewables, telecommunications and other infrastructure. Our team has advised on some of the largest and most prominent deals in the world, including the majority of LNG projects in the market today. We have represented sponsors and lenders on a number of landmark transactions worldwide. Our work includes representing Japan Bank for International Cooperation (JBIC) and the commercial lenders in Sakhalin II, the world's largest oil and gas project to have limited recourse project financing—this was Russia's largest-ever foreign investment and project financing. We have also represented leading Japanese gas and electric utilities in relation to equity investments in greenfield LNG projects and arrangements for foundation LNG offtake from those projects. In today's complex world, virtually all real estate investment is multifaceted. The success of real estate projects and investments often hinges on innovative structuring, financing and development techniques. We offer integrated advice across a range of practice areas, uniquely tailored for each transaction. Our team of responsive and commercially focused lawyers is experienced in virtually every aspect of Japanese real estate and real estate financing. Our lawyers have an understanding of the business issues you face, and they provide integrated and focused solutions, transforming local knowledge into clear advice. Drawing upon the experience and capabilities of White & Case worldwide, our Japan practice provides a full range of legal services relating to the ownership, assembly, acquisition, development, construction, litigation, operation, management, financing and securitization of real estate and nonperforming loan assets in Japan. Represented Mizuho Securities Co. Ltd, financial advisor to SoftBank Group Corp. on its landmark acquisition for £24.3 billion of ARM Holdings plc, the world's leading semiconductor IP supplier. This deal won "M&A Deal of the Year: North Asia" at Asia Legal Awards 2017 and also "Transaction of the Year (over £1bn)" at the M&A Advisor EMEA Corporate Development Awards 2017. Advised the senior lenders, The Bank of Tokyo-Mitsubishi UFJ, Ltd, Mizuho Bank, Ltd., Sumitomo Mitsui Trust Bank, Limited. and Sumitomo Mitsui Banking Corporation (senior portion is US$1.4 billion) on multi-tranche US$2.2 billion refinancing of indebtedness for Sprint Telecom, a US-based telecoms operator with Sprint leasing back its network equipment. This cross-border loan for a US company is significant in contributing to the refinancing of a US telecoms business by leading Japanese lenders. Representation of Tokyo Electric Power Company (TEPCO), the largest electric power company in Japan, in its formation of a comprehensive alliance with Chubu Electric Power Co., Inc. through a joint venture called JERA Co., Inc. (JERA). Advised Sumitomo Mitsui Banking Corporation, one of Japan's largest financial institutions, in the Legoland theme park project financing. Located in Nagoya, Japan, the park is operated by Merlin Entertainments, a global operator of family entertainment attractions. Represented Panasonic Corporation in its US$1.545 billion acquisition of Hussmann Corporation, a Missouri-based manufacturer of refrigerated display cases and systems, from Clayton, Dubilier and Rice, LLC, the representative company of Hussmann Parent's shareholders. Advised Mitsubishi Corporation in a joint venture with Empresa Naviera Elcano, S.A to purchase two LNG vessels from Imabari Shipbuilding Co., Ltd. for charter to Gas Natural Fenosa. We handled all aspects of the project and finance documents for the construction, chartering, management, ownership and financing of the vessels. Advised CIT Aerospace, a provider of leasing and financing solutions for aircraft fleets worldwide, in connection with the restructuring of Skymark Airlines, Japan's third largest airline which filed for bankruptcy in January of 2015. Successful representation of Toys"R"Us-Japan, Ltd. in a Japan Fair Trade Commission (JFTC) investigation and subsequent appeal in connection with certain business practices under the Antimonopoly Act. This was the first JFTC hearing decision on an abuse of superior bargaining position case since that conduct became subject to surcharge in 2010. White & Case Advises Canon Medical Systems Corporation on Acquisition of Fysicon B.V.